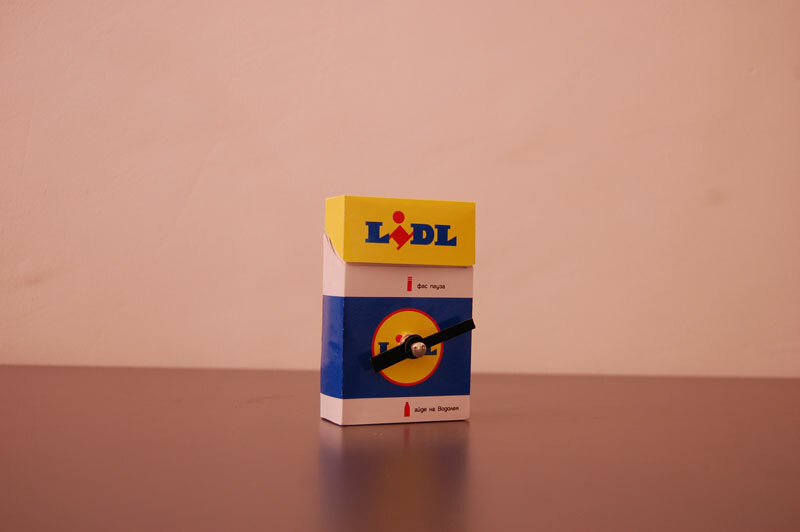 This clock was a present for a very special friend. 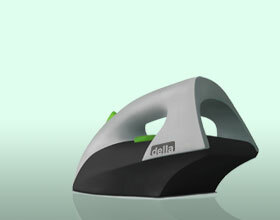 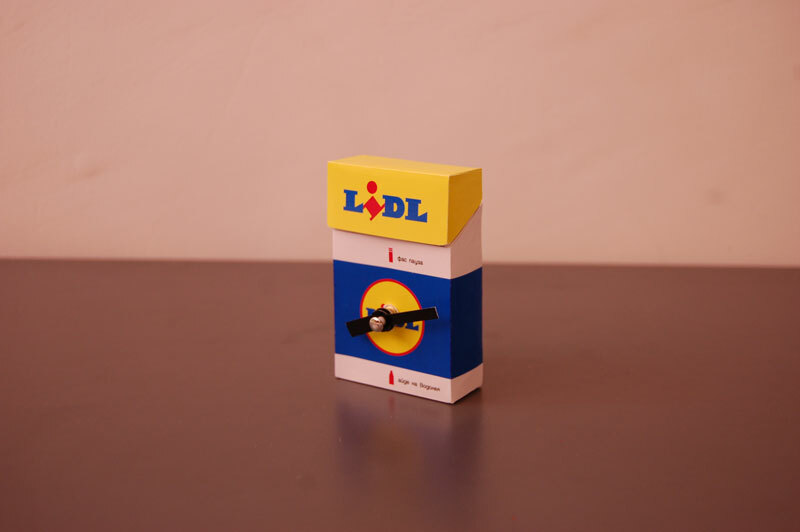 Her name is Lidia, so me and her brother made a joke about it and called her Lidl like the supermarket. She is a smoker and smokes on every exact hour during work. 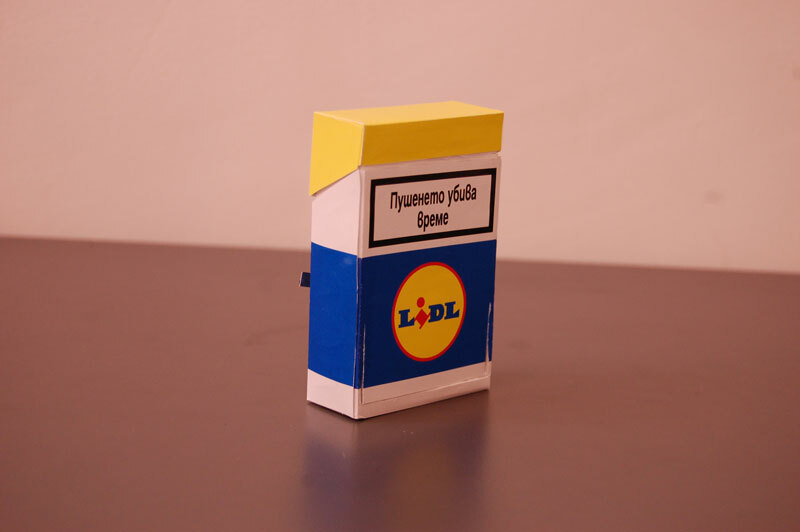 So the clock that I made looks like a custom Lidl cigarette box. 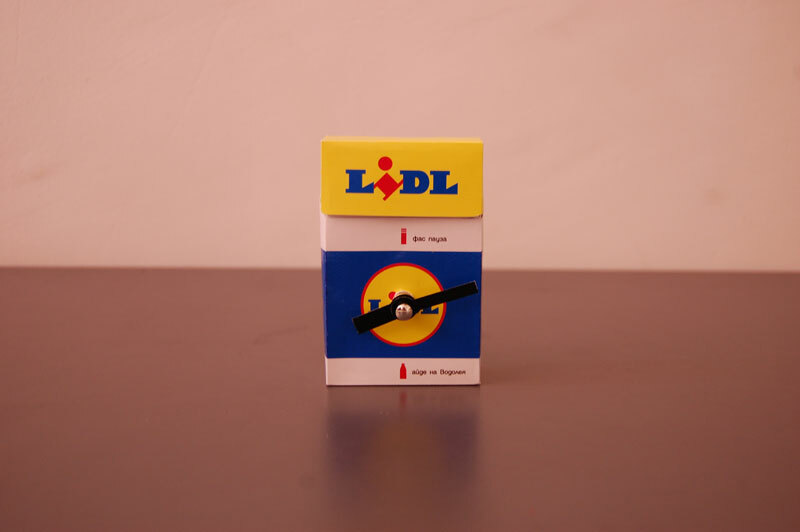 It is showing only the exact hours saying "time for a smoke" and the hour when she's finishing work - "time for a beer"
The back says: "Smoking kills time".